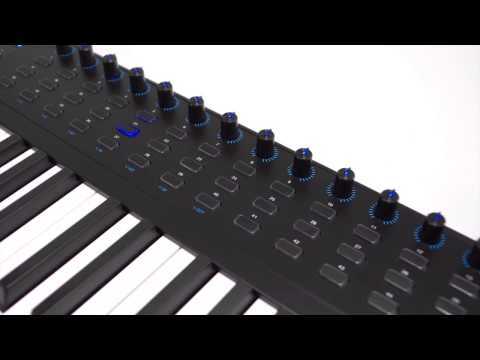 The Alesis V149 Advanced USB Midi Pad/Keyboard Controller was launched as one of Alesis's new releases for NAMM 2014. This 49 key keyboard c.. The Alesis V149 Advanced USB Midi Pad/Keyboard Controller was launched as one of Alesis's new releases for NAMM 2014. This 49 key keyboard controller has been designed to work with any DAW which allows you to perform, record and create music instantly through your laptop or desktop computer. The Alesis V149 MIDI controller includes 16 illuminated trigger pads, drum roll, tempo and sync facilities and pitch bend/modulation wheels. This 49 key MIDI keyboard also features semi-weighted keys to allow for further expression in your performance.